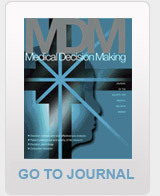 It is our pleasure to announce the 14th Biennial European Conference of the Society for Medical Decision Making to be held in Oslo, the capital city of Norway, June 10-12, 2012. The conference venue will be the Department of Health Management and Health Economics, University of Oslo. Oslo Airport Gardermoen has good flight connections to major airports in Europe and the US. From the airport there is easy access to downtown Oslo by train (20 minutes) or bus (50 minutes). From downtown Oslo, where our conference hotels are located, there is a 10 minutes metro or tram ride to the conference venue. The main theme of this meeting will be ”Preventing infections in a globalized world – what can decision analysts do?”. We aim for an exciting programme with short courses, oral and poster presentations, panel discussions and workshops. Plenary sessions will include top ranked abstracts and key note lectures. We are happy to announce our key note speakers, Professor Gerd Gigerenzer, Center for Adaptive Behavior and Cognition, Max Planck Institute for Human Development, Berlin and Professor Neil Ferguson, MRC Centre for Outbreak Analysis and Modelling, Department of Infectious Disease Epidemiology, Imperial College London and Dr Bjørn-Inge Larsen (MD, BC, MBA, MPH), Director General for Health, Chief Medical Officer, Norway.